Last night the Wife and I went to a Seder. It was the first I had been to since moving to this island. I grew up mostly in a small town in Missouri. I was the only Jewish kid in my school. On weekends, we would drive an hour to the town that had a synagogue. All the kids there were friends and didn’t know me, and to make a long story short, I always felt like an outsider. Everywhere. At school, being the only Jewish kid and with other Jewish kids, because they were all friends. Plus, with my father, no holiday was fun, always following Jewish laws and never doing good enough. So last night I was reluctant to go. But once we got there, I was very eager to pay attention and absorb the happenings. The problem was, to me, that there were so many unruly kids, I couldn’t hear and the whole thing seemed disorganized. There were kids running around and lots of noise, and the Rabbi had a not so powerful voice. A Seder is a story about the Hebrews being freed from slavery and leaving Egypt. You sit at the table, and go through a small book called a Hagaddah and tell the tale. Also you drink Four glasses of wine (or grape juice in my case) throughout the meal. About 2/3 of the way through the main meal is served, and after that is the closing and the last two glasses of wine. Four Glasses of wine. Very Important. After dinner, they seemed to just blow off the rest of the service and the last two glasses of wine, and got it over with. I thought it was very disorganized, but I wonder, am I just from a strict environment? I’m not complaining, I am glad I went, and was surprised at my interest after I got there. I don’t have enough expertise to know a good Seder from a bad one, I just wanted the whole thing like I remembered as a kid. I know what you mean, I feel lately in all religion no one seems to take the traditional stuff in ceremonies serious anymore. And it seems this generation is missing out on learning respect and how to be quiet for 5 minutes even. Hey Mark,I know exactly what and who you're talking about and completely agree. In my family we never blew off the rest of the Seder after dinner. Maybe when we get back we'll do one of our own? I think it just depends on the seder. I grew up…a little similar to you. We moved around a lot when I was young so I never knew any Jewish kids until I got into high school & by that time I was already an outsider by miles and miles. I've been to serious seders and silly seders and even one in Israel last year. I think there are just all kinds. And chaotic or silly does not always have to mean that it isn't being taken seriously. Last night people were even talking about how even when they were young, the previous generation had spent a good deal of the seder arguing over which parts they did or didn't read, so that's apparently just part of the tradition for that part of the family. 🙂 I think you know it might not have been the right seder for *you* if it seemed too chaotic. But there are sooooo many different ones that if you want to, you'll find one that suits you. And if not, you can always make your own that is the right balance of serious & fun. 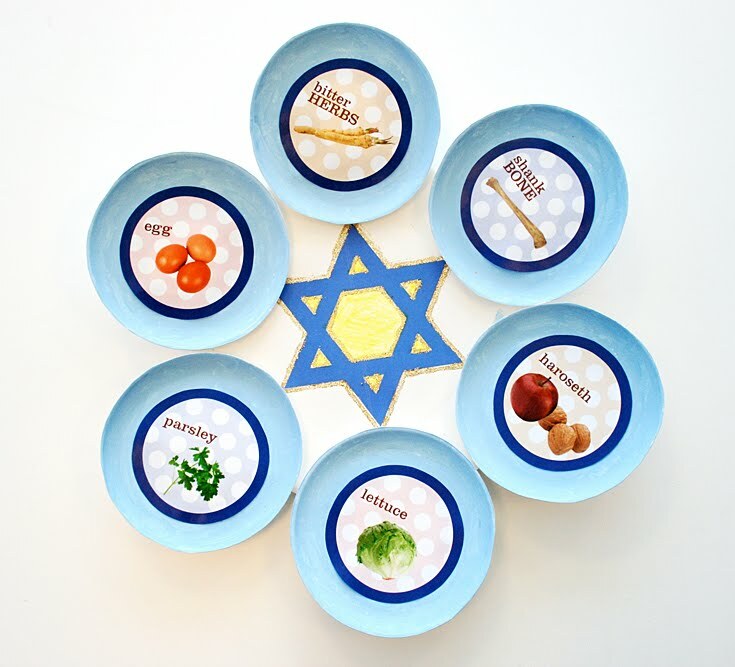 Tonight's the second night after all – a second chance at a seder! Happy Passover! I'm a pagan..I just go out side and thank the Goddess and get on with it. I would love to attend a Seder but not being Jewish I wouldn't know what to expect. Maybe next year you guys hold the Seder?!? The story of the Hebrews is truly amazing. I've read it many times in my Bible.